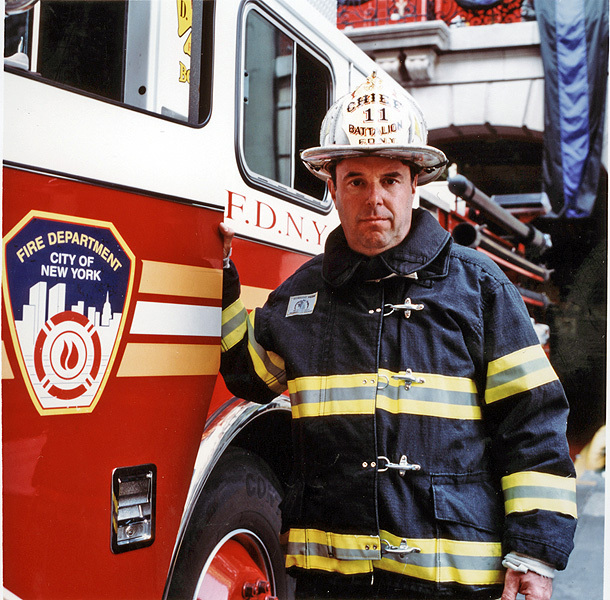 Clarksville, TN – On the morning of September 11th, 2001, Richard “Pitch” Picciotto answered the call heard around the world. In minutes he was at ground zero of the worst terrorist attack on American soil, acting boldly to save innocent lives as the Twin Towers of the World Trade Center began to burn—and then to buckle. Already a veteran of terrorist attacks, Picciotto was present fighting a similar battle after the World Trade Center Bombing in 1993. Again inside the North Tower, where he found himself years earlier, he focused his concentration on the rescue efforts at hand. But it was there in the smoky stairwells that he heard and felt the South Tower collapse. He then made the call for firemen and rescue workers to evacuate, while he stayed behind with a skeleton team of men to assist a group of disabled and inform civilians in their struggle to evacuate the inferno. 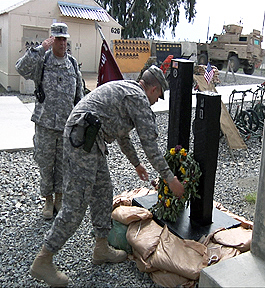 Khowst Province, Afghanistan – Of the many ceremonies and remembrances commemorating the anniversary of the 9/11 attacks, one struck a personal note for a group of Soldiers at Forward Operating Base Salerno September 11th. The Soldiers are Army Reservists from New Jersey and New York serving with the 344th Combat Support Hospital. When the twin towers of the World Trade Center fell, two of the unit’s Soldiers were inside. 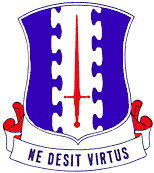 U.S. Army Capt. Michael Mullan and Sgt. Shawn Powell had been serving with the 344th CSH for years before the September 11th tragedy. On that dark day, both men were working as New York City firefighters and had responded to the tower disaster in an attempt to save the thousands trapped inside. 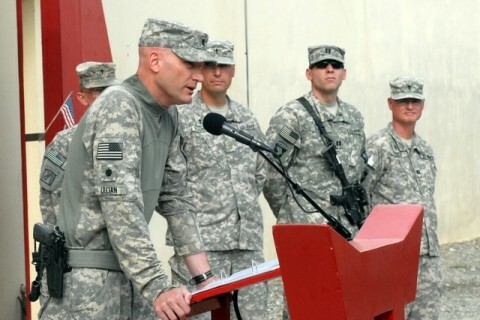 Khowst Province, Afghanistan — U.S. Army Lt. Col. Richard Ullian, 3rd Battalion, 320th Field Artillery Regiment commander, address a formation of Soldiers about 9/11 in front of the Task Force Rakkasan Tactical Operations Center at Forward Operating Base Salerno, Khost Province, September 11th.